COMICS ON KICKSTARTER is a new series we are starting at Monkeys Fighting Robots highlighting comic book Kickstarter campaigns. According to Kickstarter, $15.3 million was pledged to successfully funded comic book projects in 2018, up 27% from 2017. If you are working on a comic book related Kickstarter campaign, send us your information at info@monkeysfightingrobots.com. What the heck is HAMSTER RAGE? 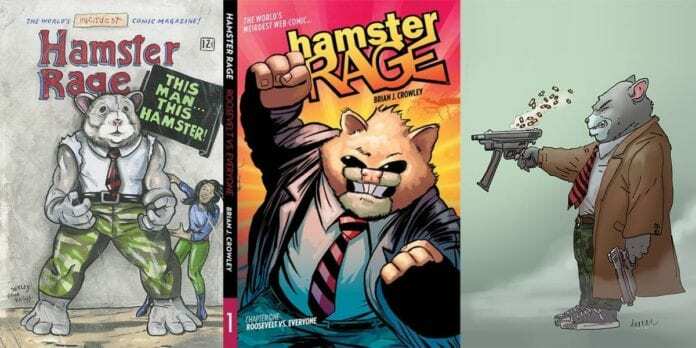 Brian Crowley’s Hamster Rage is the story of MegaBabe, leader of the super team Allied Force, and Roosevelt, her childhood pet hamster who’s now over eight feet tall, super-powered and has the mind of a hyperactive child. The 160-page graphic novel collects the first four issues and has pinups and covers by Gene Ha, Tim Seeley, Tony Akins, Steve Seeley, Jenny Frison, Hilary Barta, Jim Terry, Ryan Browne, and Geof Darrow. 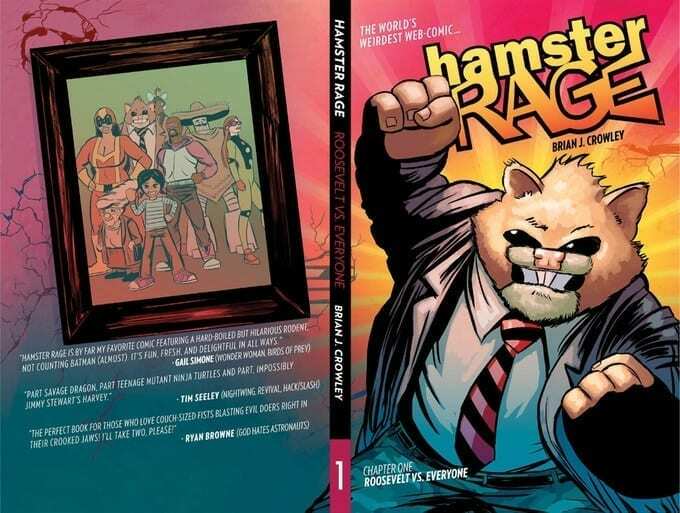 One of the things that potential backers look for on Kickstarter is a completed project, and the Ringling School of Art and Design graduate has said, Hamster Rage Chapter 1: Roosevelt VS Everyone is complete. The funds collected will be purely for printing and shipping the book to backers. Click on the widget below for more information and to grab yourself a copy. What do you think? Is this the type of comic book project you want to see more of? Comment below with your thoughts.